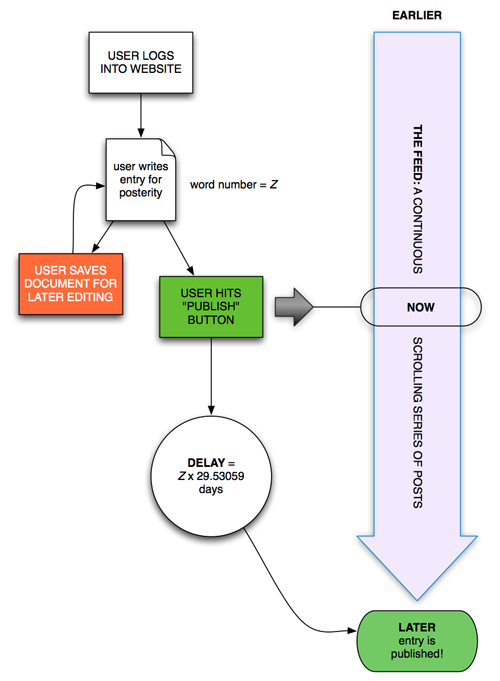 This is a diagram of the process of writing and publishing an entry into the Long Wall feed. It remains to be seen whether my lovely diagram helps to explain the Long Wall Project, or whether it just obscures the picture further! Let me know your thoughts.